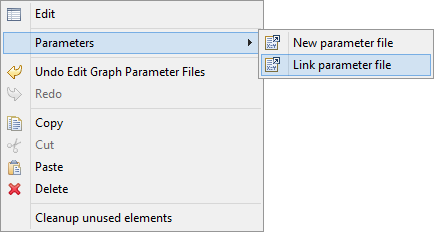 Existing external (shared) parameter files can be linked to each graph in which they should be used. Right-click either the Parameters group or any of its items. Select Parameters → Link parameter file from the context menu. Locate the desired parameter file from the files contained in the project (parameter files have the .prm extension).